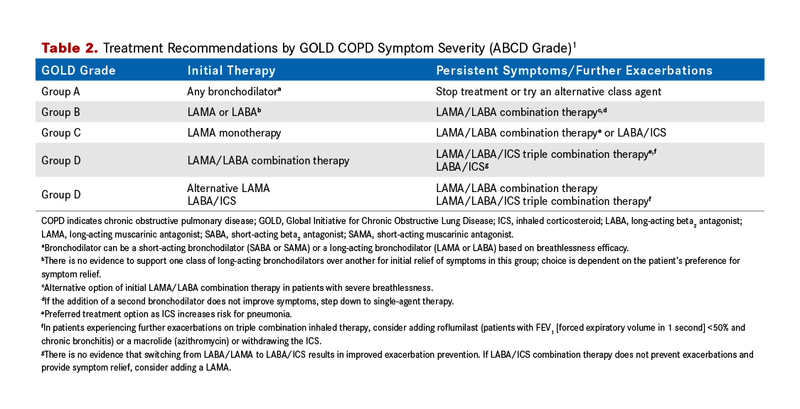 The 2017 GOLD guidelines include updates to the ABCD symptom assessment tool and revised guidance regarding the use of spirometry to evaluate the severity of airflow limitation. They focus on disease assessment and the use of pharmacologic treatments and nonpharmacologic interventions (eg, smoking cessation) to relieve symptomatic burden and improve patient health status. 1. Global Initiative for Chronic Obstructive Lung Disease (GOLD). 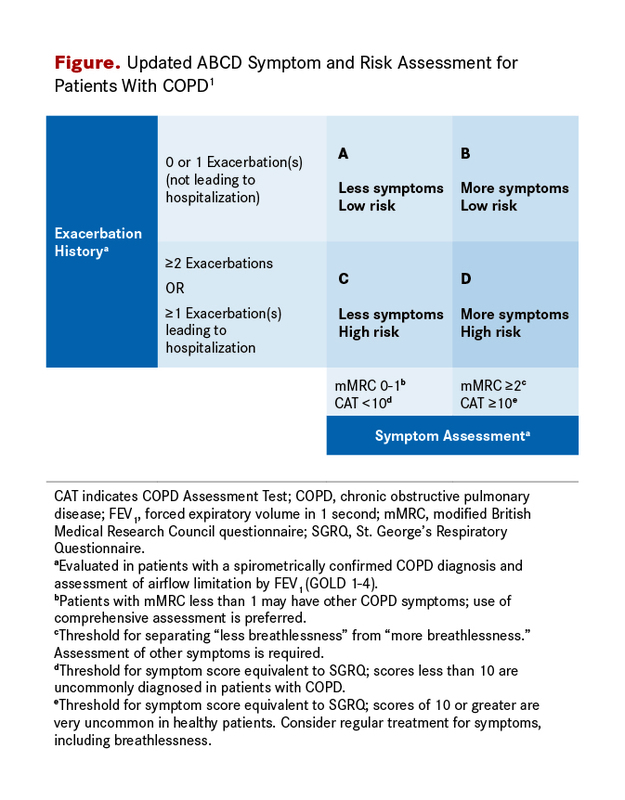 2017 Global strategy for the diagnosis, management, and prevention of chronic obstructive pulmonary disease. GOLD website. http://goldcopd.org/download/326/. Published January 2017. Accessed April 26, 2017.